First things first, well done FireChat developers. You have helped thousands of people worldwide by providing them access to the FireChat application. The FireChat application is being used in war and demonstration environments. 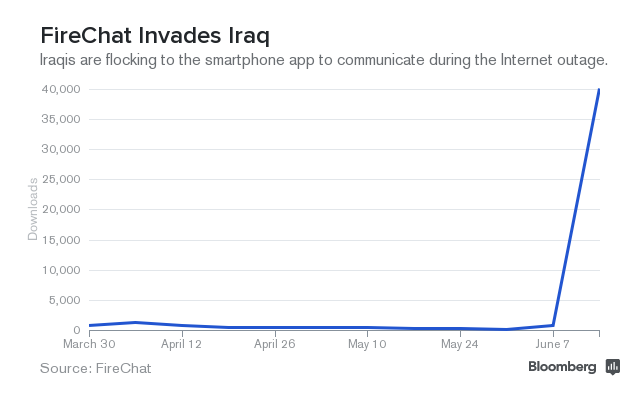 For example, the Iraqi people used the FireChat application to exchange information with each other. The same is currently happening in China. The protestors in China are using the FireChat application as the government of China has blocked any resource which provides information and supports the demonstrators which are currently in Hong Kong. The Chinese government is scared that the citizens of China will support the demonstrators in Hong Kong. But lets get back to the FireChat application. The FireChat application works with MESH networking, which actually means that if you are in the environment of the “chat room” (or a user which is using the FireChat chatroom), you will be allowed to join the FireChat chat room. Gizmodo reported that for security reasons, FireChat implemented an username (nickname) generator which creates a static nickname.